Google has pushed a new version of Chrome into the beta channel that's designed around improving two of the browser's key aspects: speed and security. The first major change in version 17 is the ability for pages to start loading in the background before a user has even finished typing a URL into the Omnibox address and search bar. "If the URL auto-completes to a site you're very likely to visit, Chrome will begin to prerender the page," explained Dominic Hamon, a software engineer at Google, while announcing the browser update. The pre-rendering makes the full site show up almost instantly, according to Google. Google also introduced an extension to its Safe Browsing technology that protects users against malicious downloads by analysing executable files, including Windows .exe and .msi files, for known malware. 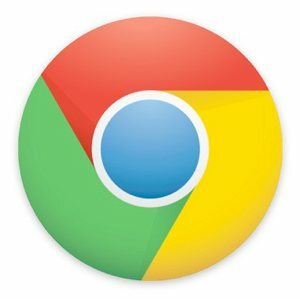 Chrome will issue a warning if a certain file appears to be malicious and will also alert the user if a file is downloaded from a website with a poor reputation for hosting malware-infected files. This protection targets the "social engineering" type of threat, such as the common fake anti-virus product being offered online, but it's still up to the user to proceed with the download or discard it. The database of known malware is relatively small for now but should grow rapidly as the feature moves into the stable release. A number of other minor changes and the usual slew of bug fixes are also included in Chrome 17 beta. Additionally, Google updated the browser's Stable channel to version 16.0.912.75, closing three high risk security holes. Hit the links below to download the latest stable or beta versions of Chrome.